Courtney Ware, a film director and editor based in Dallas, Texas returned to the Sundance Film Festival in Park City, Utah this year with “Light from Light,” a paranormal drama starring Marin Ireland and Jim Gaffigan. Ware, 32, has worked as a director, producer and editor after starting out as a production assistant in the early years of her film career. Ware’s first time at Sundance was in 2015 with her directorial debut on “Sunny in the Dark,” and she’s leaned toward storytelling through editing between her directing jobs ever since. “Light from Light” was part of the “Next” category at Sundance — a set of films that are deemed innovative and able to persevere despite the constraints of an independent budget. The film focuses on a paranormal investigator, but it’s not a horror film, Ware said. Blending aspects of different genres in a drama about grief, “Light from Light” creates an eerie, emotional tone freckled with heartwarming jokes. The storyline allows for an intimate look into the lives of the main characters. 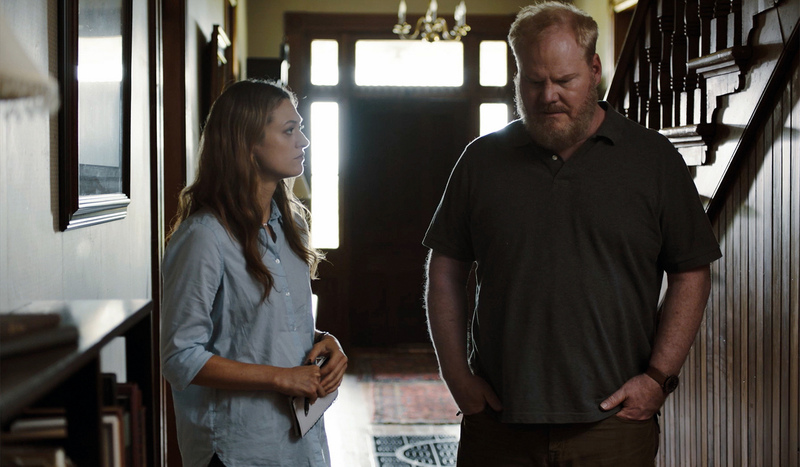 Shelia (Marin Ireland) revisits her practice of communicating with spirits, an activity she halted years prior, to help Richard (Jim Gaffigan) with his suspicions that his recently deceased wife’s spirit had been lingering in his home. Through tape recordings, night vision cameras and other ghost hunting equipment, Shelia walks Richard through his journey of finding hope that he might communicate with his deceased wife. The two later lose hope when they realized a mouse nibbling through electrical wires in the basement was the reason for flickering lights. When they’re just about to call off the investigation, Richard experiences a very clear moment of being in touch with his wife’s spirit, and it’s clear she was really there all along. One scene in the film rolls for 12 minutes, including a two minute closeup on Marin Ireland that never cuts away, Ware said. She said it was a scene she was very nervous about, but ended up being her favorite. Ware said she edited the scenes on set of the film, usually about a day after they were shot. She said this technique was very helpful in terms of being aware of what was going on and needed, or if anything needed to be reshot, it was much easier to do so. “We need more of this merging the time between production and post,” Ware said. Ware edited the film with Adobe Premiere Pro, a program she’s been using for years. Ware said she also appreciated on-set editing because it got rid of what she calls being in a dark hole of a room, as editing off-set is usually done in solitude.